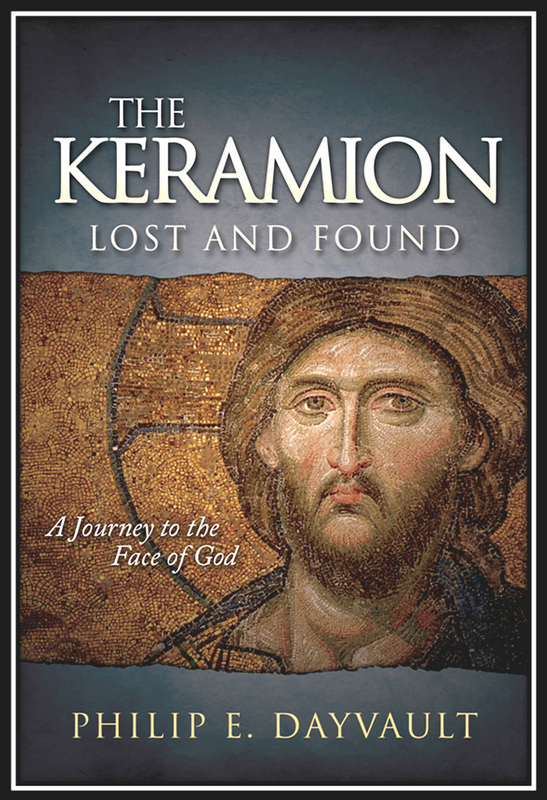 The Keramion, Lost and Found: A Journey to the Face of God, by Philip E. Dayvault is NOW AVAILABLE for ONLINE ORDERS from Amazon.com. ; as well as for ONLINE orders from finer bookstores everywhere, such as, Books-A-Million, Barnes and Noble, Chapters, Powell's, etc., click HERE. Soon, it will be available directly from this website and personally signed copies by the author will be available, upon request. The Keramion is now available worldwide in trade paperback and eBooks. 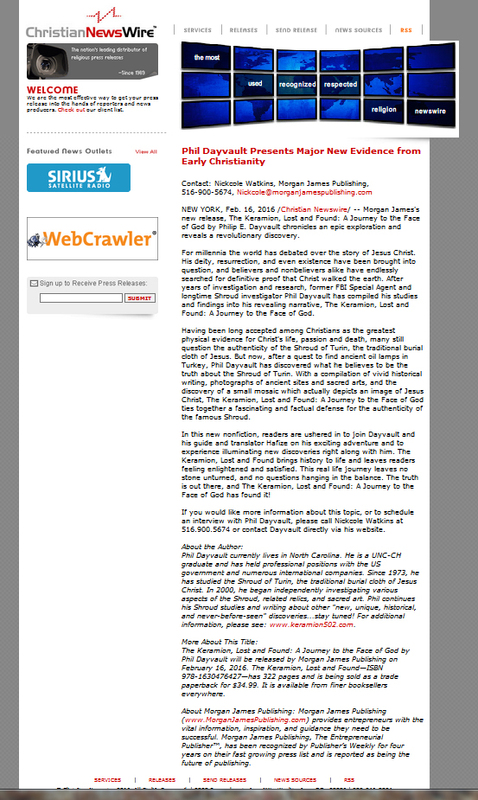 SEE the ChristianNewswire.com PRESS RELEASE published on February 16, 2016. Click HERE.